Barter Books : Boam, Henry J; Brown, Ashley G; Morris, Philip H [eds.] 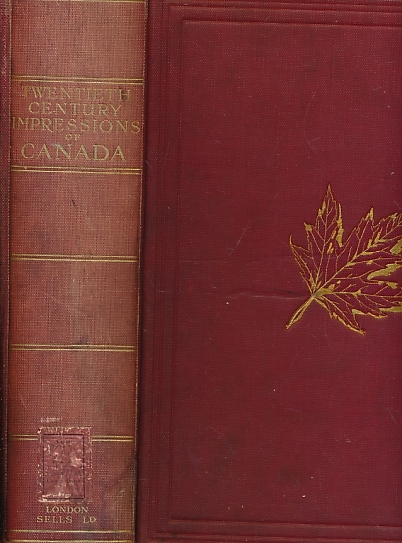 : Twentieth Century Impressions of Canada: Its History, People, Commerce, Industries and Resources. 310 x 240 mm (12 x 9 inches)8vo - 942pp. G : in Good condition without dust jacket. Cover rubbed. Spine faded. Ex Middlesbrough Reference Library. Heavy book - extra shipping needed for overseas.